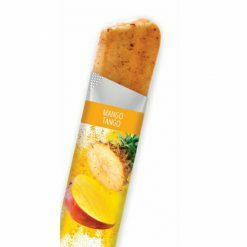 Mango Tango creates a tropical flavor experience combining ripe mangos, bananas and pineapples with the natural sweetness from grapes. 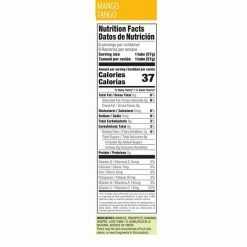 In addition to tasting great Mango Tango is naturally high in Vitamin C, providing 25% of the recommended daily amount in each serving. Mangos, Grapes, Pineapples, Bananas, and less than 1% Guar/Acacia (a natural source of fiber). 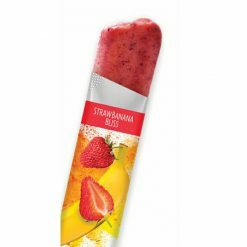 Our most popular flavor, Strawbanana Bliss perfectly blends the great taste of strawberries and bananas together with grapes to create a wonderful treat for the entire family. Bananas are well known as an excellent source of essential nutrients and minerals that provide many healthy benefits while providing a creamy taste experience. 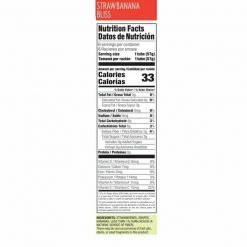 Strawbanana Bliss is naturally high in Vitamin C, providing 25% of the recommended daily amount in each serving. 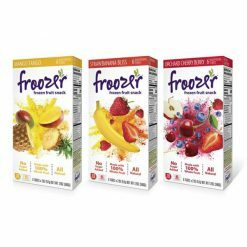 Strawberries, Grapes, Bananas, and less than 1% Guar/Acacia (a natural source of fiber). Orchard Cherry Berry blends the tartness of cherries, blueberries and strawberries with the crisp flavor of perfectly ripened apples and the natural sweetness from grapes. All of these fruits are a rich source of phytonutrients, vitamins, minerals and dietary fiber. 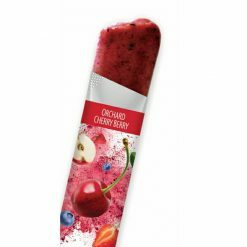 The luscious berries and apples blended together in Orchard Cherry Berry create a wonderful treat your entire family love. Grapes, Apples, Cherries, Strawberries, Blueberries, and less than 1% Guar/Acacia (a natural source of fiber).